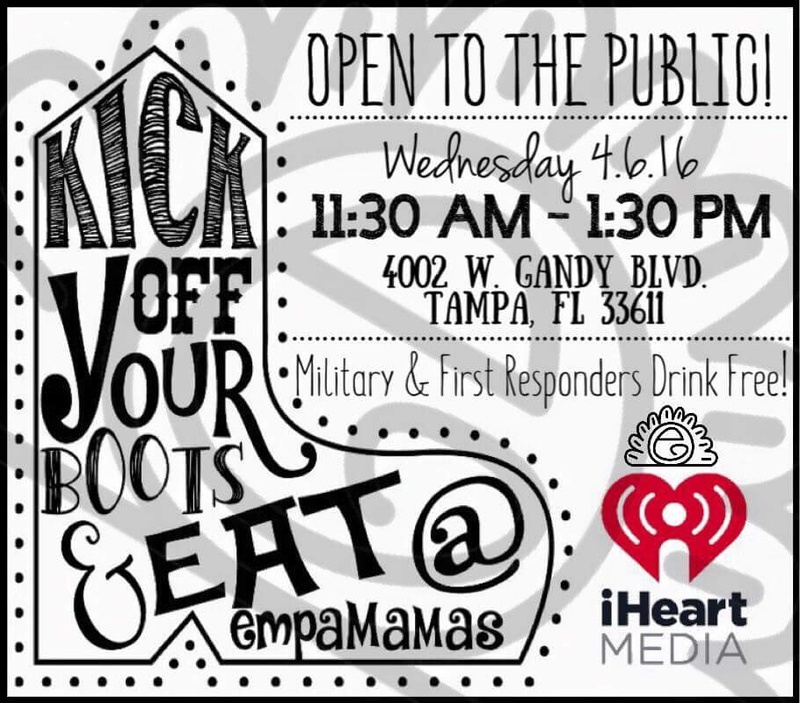 Empamamas Food Truck supports our Heroes! 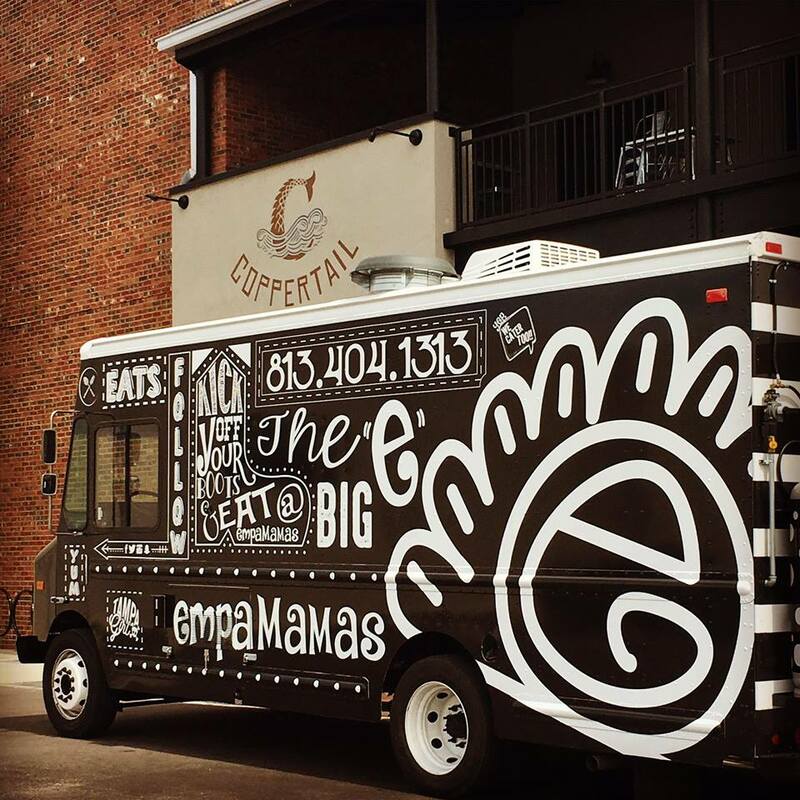 Empamamas Food Truck is the Bay Area’s newest Food Truck. Empamamas serves Not So Basic empanadas that are guaranteed to Rock Your World. 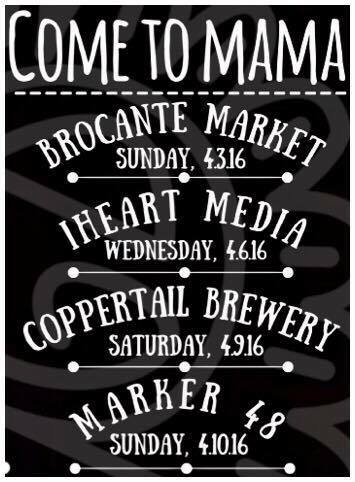 Our signature Empamama is the ‘Tampa Girl’ which consists of Roasted Pork, Sweet Ham, Genoa Salami, Swiss Cheese, Pickles and our Tampa Girl Sauce. Other menu items include: ‘Cheeseburger In Paradise’ which consists of Seasoned Ground Beef, a Three Cheese blend, Bacon, Spinach, Tomato, Red Onion, Pickles and Mama’s Bangin’ Burger Sauce. ‘Dixieland Delight’ which consists of BBQ Pulled Pork, Creamy Cheese Grits, Slaw, Red Onion, Jalapeño and Pickles Rosemary Romano-Parmesan Fries which are lightly tossed in Olive Oil, Mama’s Rosemary-Salt, and Romano-Parmesan Cheese. We support our Military and First Responders! All Military and First Responders drink free with any purchase!